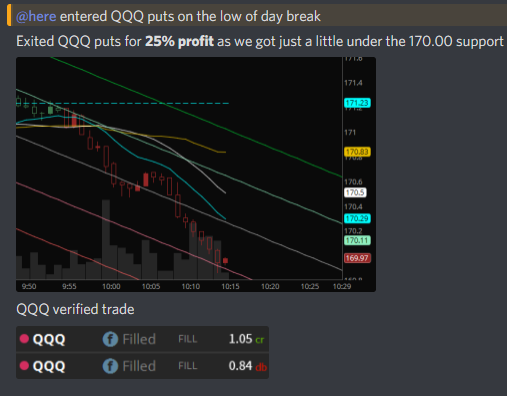 25% profit on QQQ puts!! Aaron from Team Wingtrades was able to make 25% profit in just about 20 minutes. 31% profit on SPY calls!! 23% and 7% profit on QQQ options!